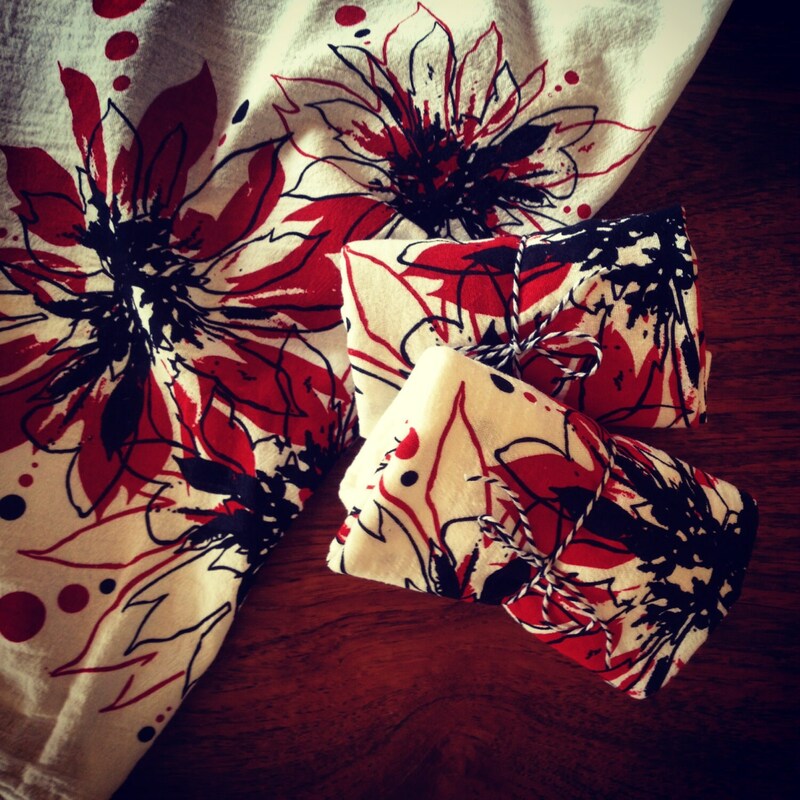 Inspired by the poinsettias that bloom outside our California print shack, these very special holiday edition flour sack napkins are perfect for a holiday table. Our flour sack napkins are the perfect size to pack in a picnic basket (measuring approximately 18" x 20") and are printed by hand using earth friendly, water based inks. 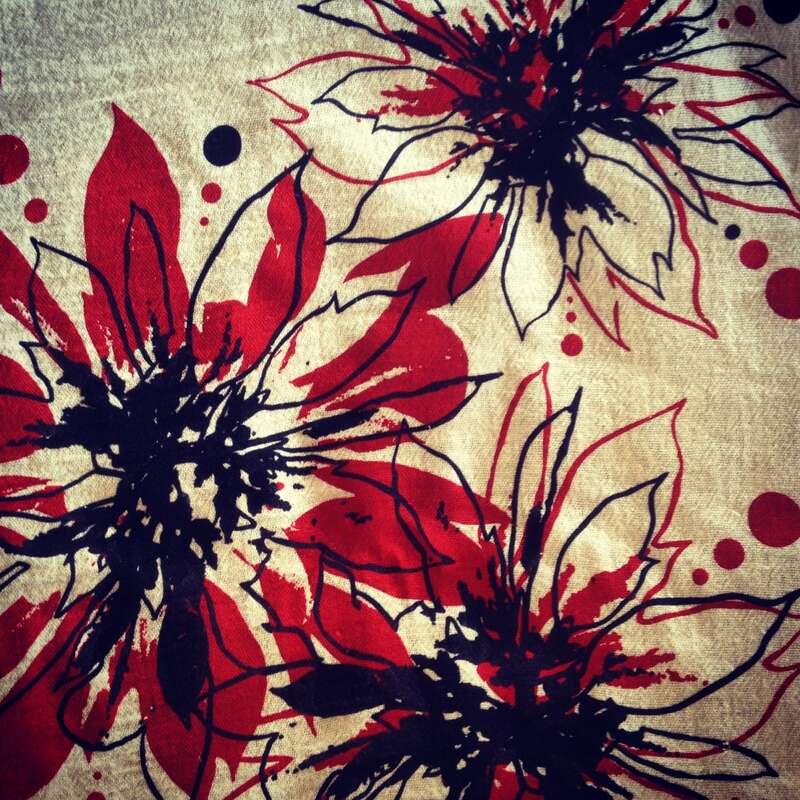 This listing is for a set of two matching poinsettia flour sack napkins in your choice of bright white or natural unbleached white. 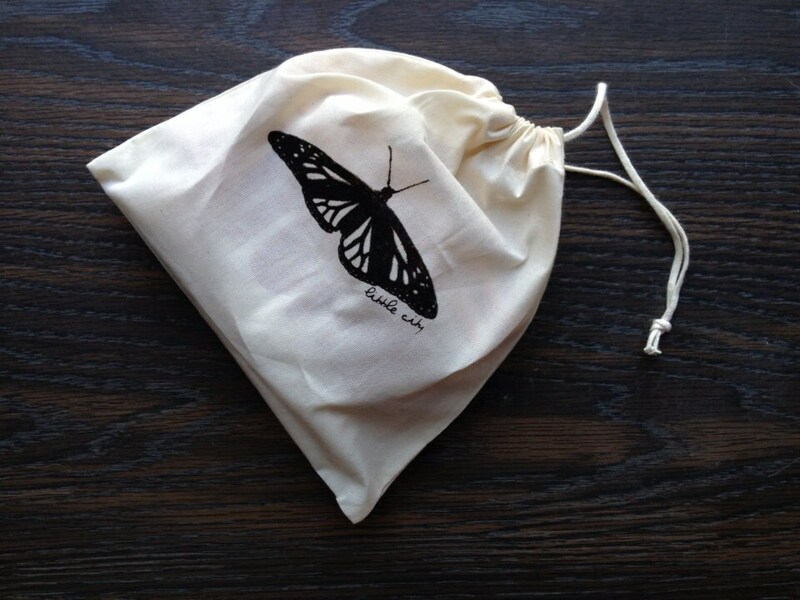 Each set comes wrapped in a reusable, organic cotton drawstring bag. This design is also available on our hand printed flour sack tea towels towels and can be combined with napkins for a beautiful holiday gift set. Check our other listings or send us a message if you're interested. *Please note that the design on the complimentary gift bag may vary. Also, please keep in mind that while we are careful to color correct our images, monitors may display differently. We accept payments via credit card & PayPal. All Little City items are shipped via the USPS first class or priority mail. Orders of in stock items ship within 3 to 5 business days of when payment is received. You will receive a shipping notification with tracking info when your order is on it's way. Please read our listings carefully to be sure of turn around time for individual items. If you have a tight timeline and need something by a specific date, please feel free to contact us before purchase so you can be sure it will get to you on time! For international shipping, please allow 2 to 6 weeks for arrival. Custom orders can be shipped with a carrier the customer chooses and will be priced accordingly. We are also very happy to accommodate requests for custom shipping on any order. Please let us know if you would like to use a specific service or carrier. Shipping costs are based on the USPS flat rates. If the cost should end up being less than we expected we will refund you the difference. We want each of our customers to love their Little City purchase as much as we loved making it. If you receive an item and decide it's not 100% perfect for you, you can return it within 7 days of purchase for a refund or exchange. Buyer is responsible for shipping costs in the case of returned or exchanged items. Items marked 'Final Sale' and/or discounted with free shipping can be exchanged for another item or for store credit, but can not be refunded. Our apologies, but because of the nature of custom orders, they can not be returned or exchanged. We just love working with like minded professionals and collaborating with creative business owners! Most of the organic wears and home accessories listed in our Etsy shop are available for wholesale orders. If you are interested in carrying our lovelies in your establishment give us a holler and we will send you a wholesale price list. Behind all our love for screen printing are many many years in professional design. If you are looking to have a perfect design created for your business, a one-of-a-kind invitation collection designed for your special event, or a unique and beautiful T-shirt design for yourself, send us a message and we'll work out an estimate for your project. Each of our products are printed by hand with love. We believe that the slight variations are exactly what make handmade, hand printed items beautiful. Please keep in mind that while we are careful to color correct our images, monitors may display differently. Also please note that the Little City Designs logo on the complimentary gift bag (where listed) may vary.